Our rainwater collection systems comprise of a 10,000 Liter (2,600 Gallon) polyethylene tank placed on cement base with a gutter system that is attached to an existing metal roof. These systems will last around 30 years, providing clean water for thousands over their lifespan. 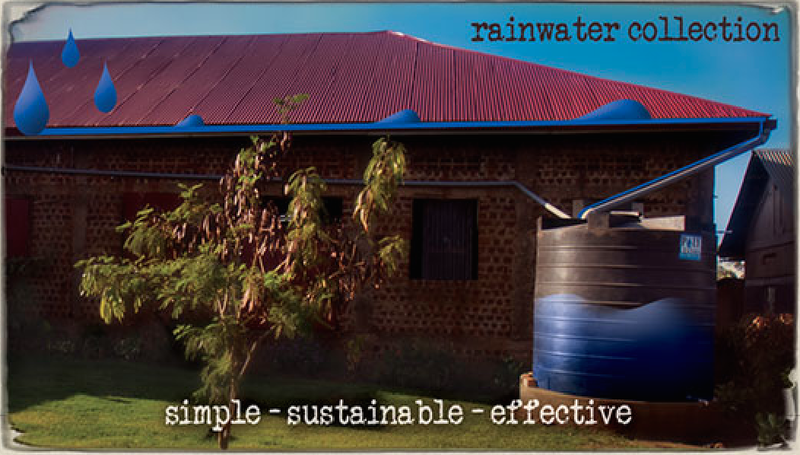 With an average of 80 inches of rainfall a year, Uganda is an ideal location for rainwater harvesting as a primary source of clean water. We work with our Ugandan office to determine site locations that have been approved based on our priority scaling, targeting locations with the highest degree of need. It typically takes about 30-60 days from the time we receive the funding to have the system completely installed. 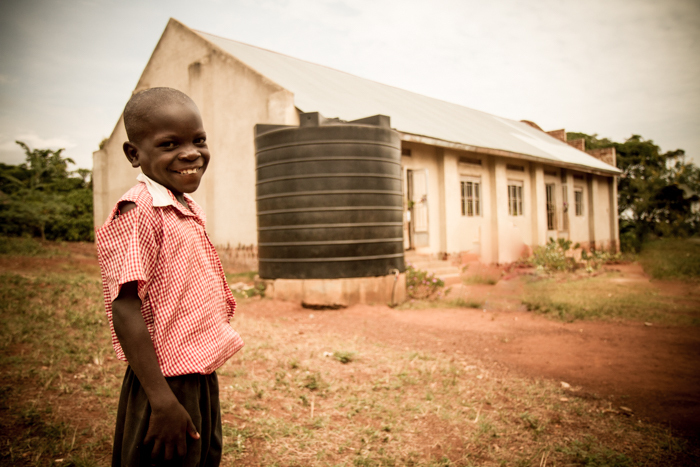 Bring clean water to a waiting community in Uganda right now! Want to get others involved and work towards this goal over time? Start a campaign here!